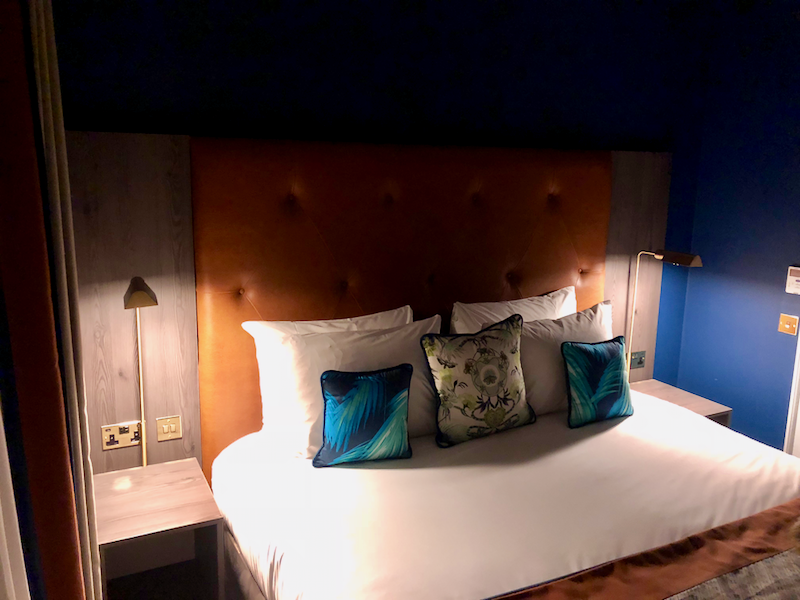 Being born and raised in Glasgow, but living in Edinburgh I don’t get back to the explore the city centre of Glasgow often enough, so when I was invited to stay at the recently opened Native Apartments I jumped at the chance. 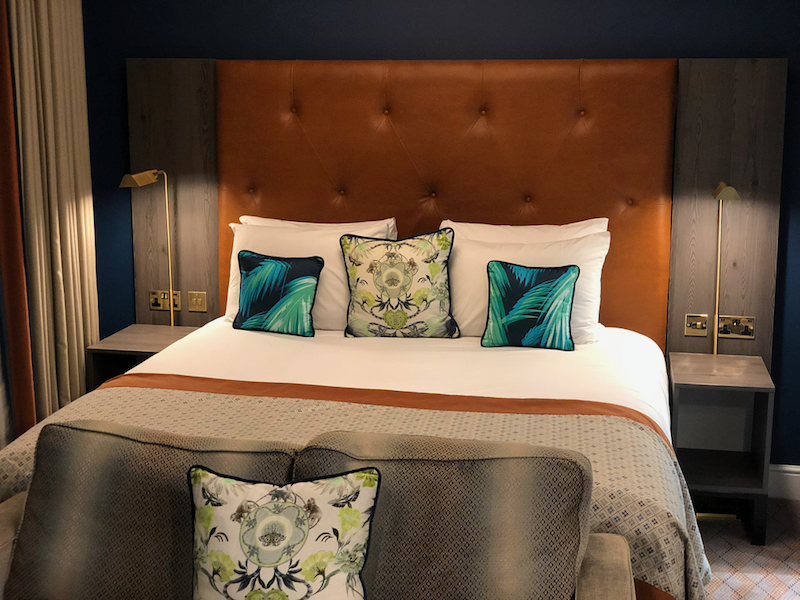 Read on to discover more about my stay at Glasgow’s latest luxurious home from home accommodation offering. 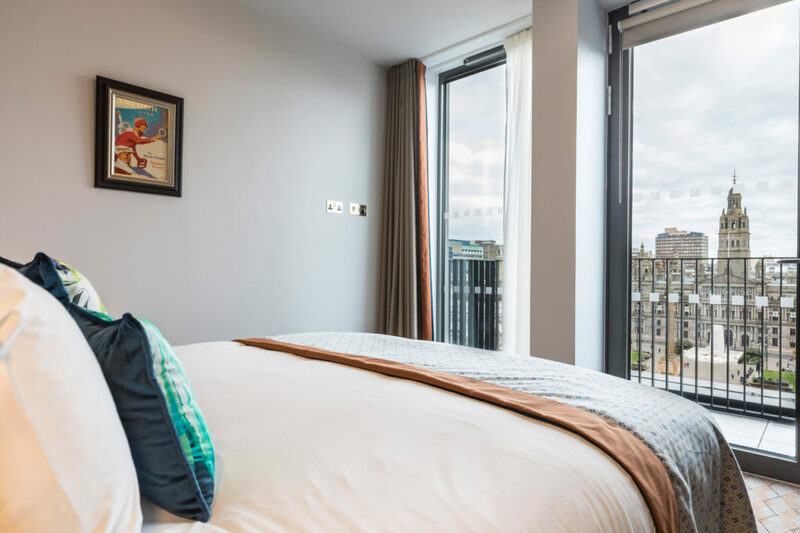 Having just opened in October 2018 this is the first Scottish property by apart-hotel group Native Places who currently have apartments in London and multiple new apartment projects in development over the next few years. 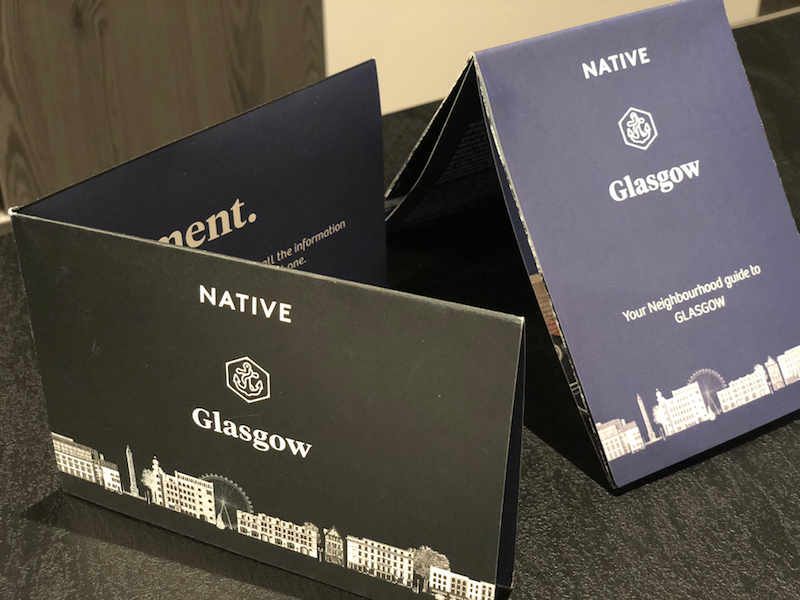 Native Glasgow is housed in one of Glasgow’s most glorious Art Deco buildings, the Anchor Line Shipping Company headquarters, which from 1880s until the 1940s was famous for its sleek ships that sailed the Atlantic to the United States. 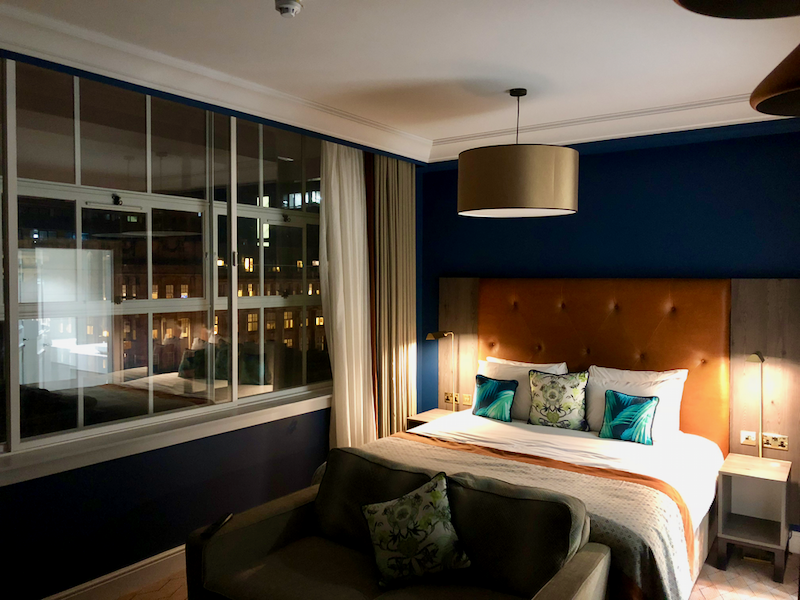 This Edwardian Art Deco office building has been brought back to life thanks to a multimillion pound restoration by Native and their close partnership with building owners, the White Building Properties Company which has helped to mirror the design ethos and opulence of a 1920s ocean liner and you can really feel the building’s nautical legacy throughout its 64 apartments ranging from studios through to penthouse spaces. City centre locations don’t really get much more central than this. 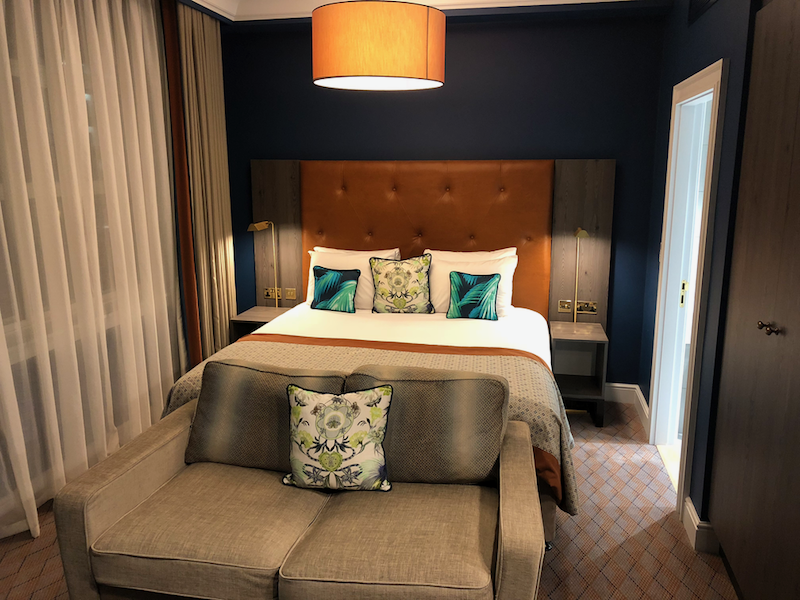 Located on St Vincent Place you are only moments away from Buchanan Street and it’s wealth of shopping options, George Square and Queen Street Station are seconds away. 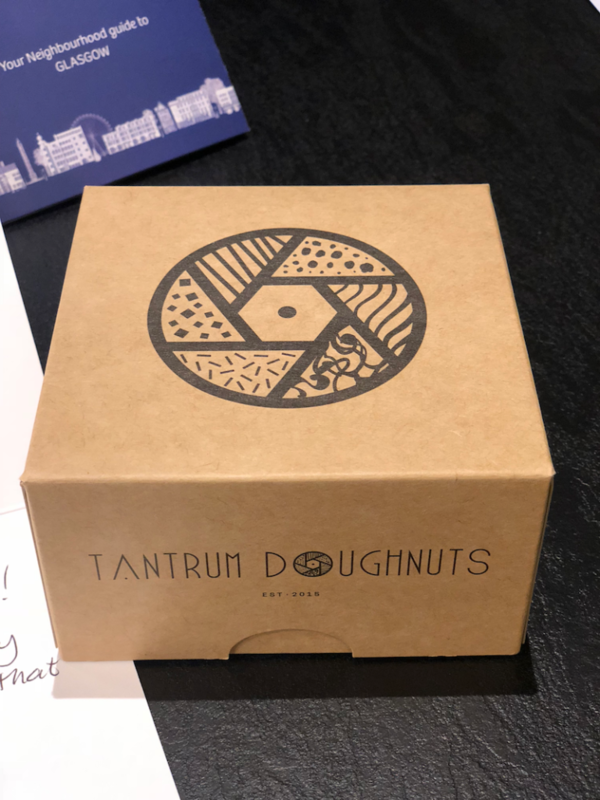 A ten minute walk and you are in Glasgow’s Merchant City and don’t forget a visit to the Gallery of Modern Art which is on your doorstep too. 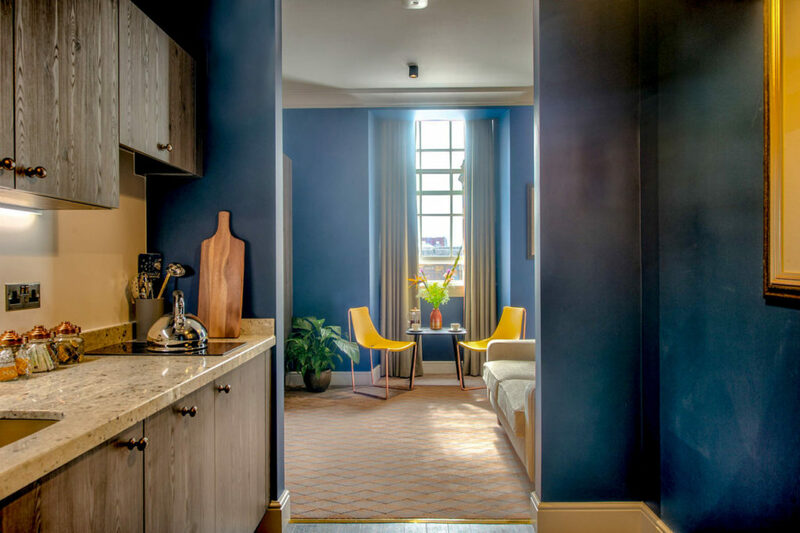 Apartments are stylish and modern, but work in harmony with the building’s history. 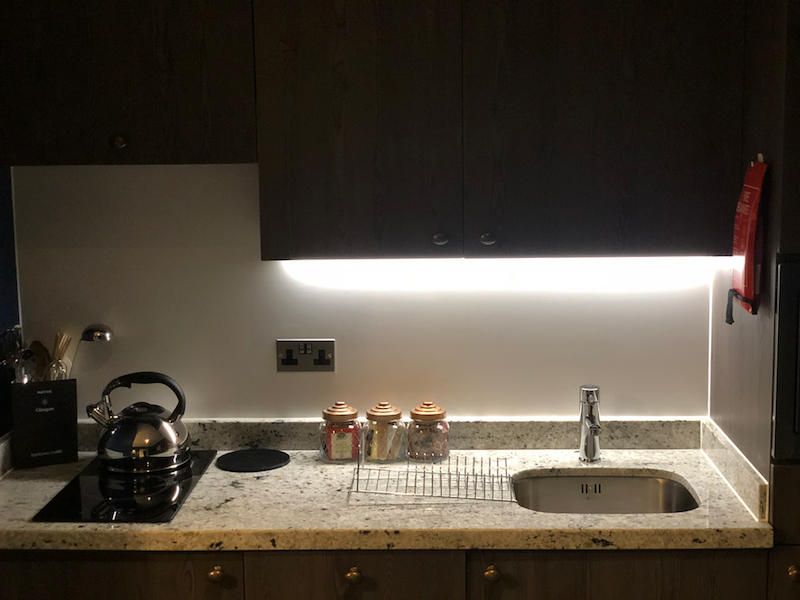 Native worked alongside interior architects ICA to preserve the properties heritage so you can expect to see numerous original features, including glazed tiles, terrazzo flooring, timber wall panelling and fireplaces in many of the apartments. 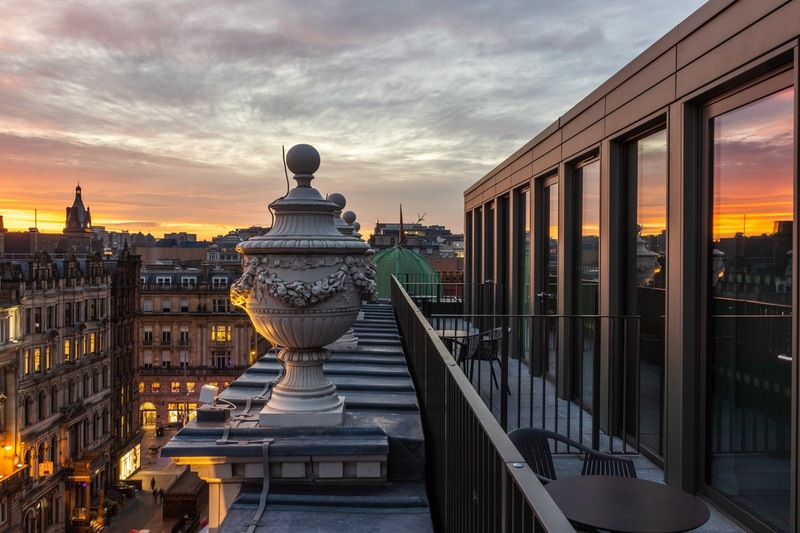 Two original safes have been maintained within the building while the penthouse rooms offer uninterrupted views of the cities skyline. The building’s windows have been carefully restored and sourced by the same family firm that fitted them in 1906. 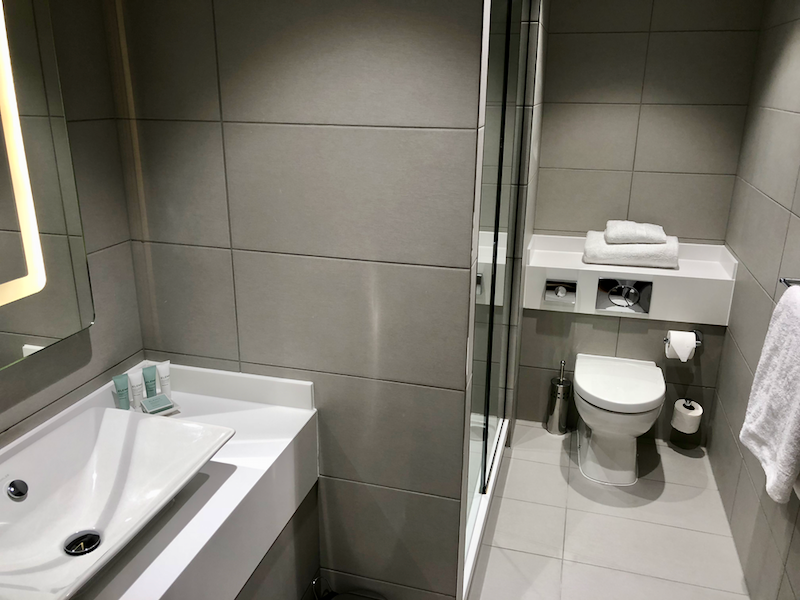 Each apartment has a large en suite with a coloured feature tile in the shower area. These tiles are a nod to the ‘wally close tiles’ used in the original sandstone tenements. 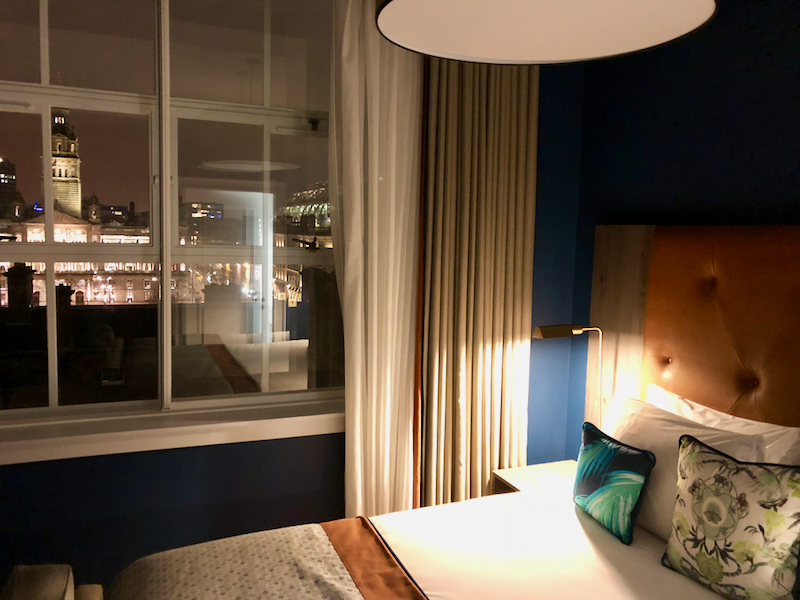 The apart-hotel concept has been growing in popularity over the last few years and it is clear to see why, you have many of the benefits of a hotel but with the space, flexibility and freedom of a private apartment. 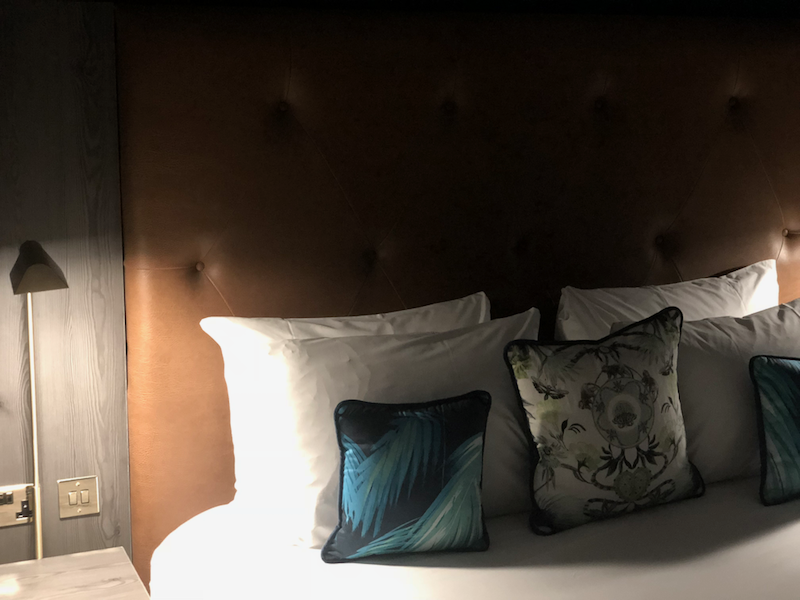 Facilities at Native include, 24-hour reception, concierge and free high-speed Wi-Fi. 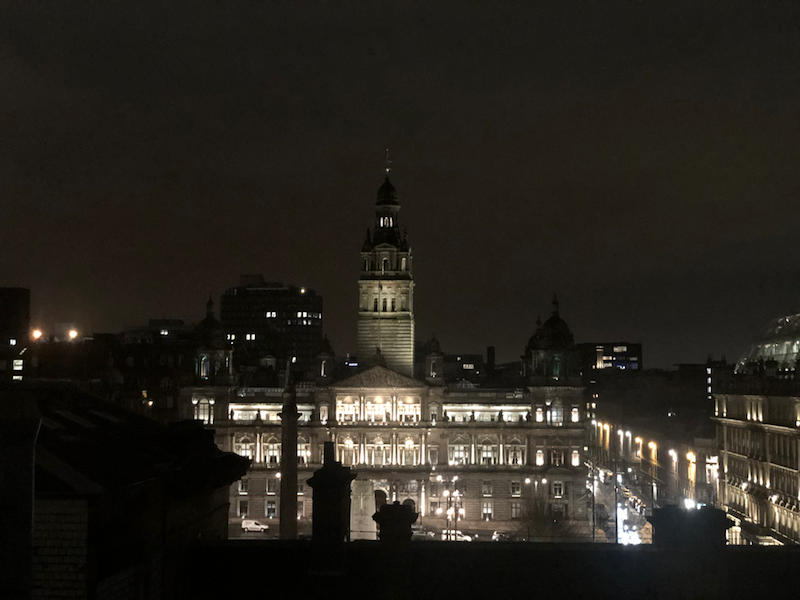 We had a premium studio up on the 6th floor, which offers incredible views out to George Square. 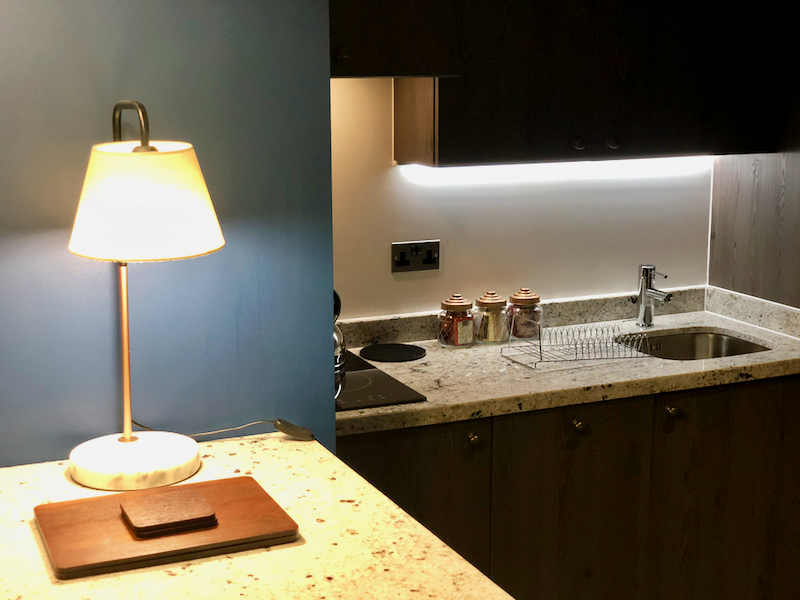 The apartment included a great kitchen space, sitting off the bedroom, the kitchen included all the mod cons you would expect, fridge, dishwasher, hob and I loved the whistling kettle! 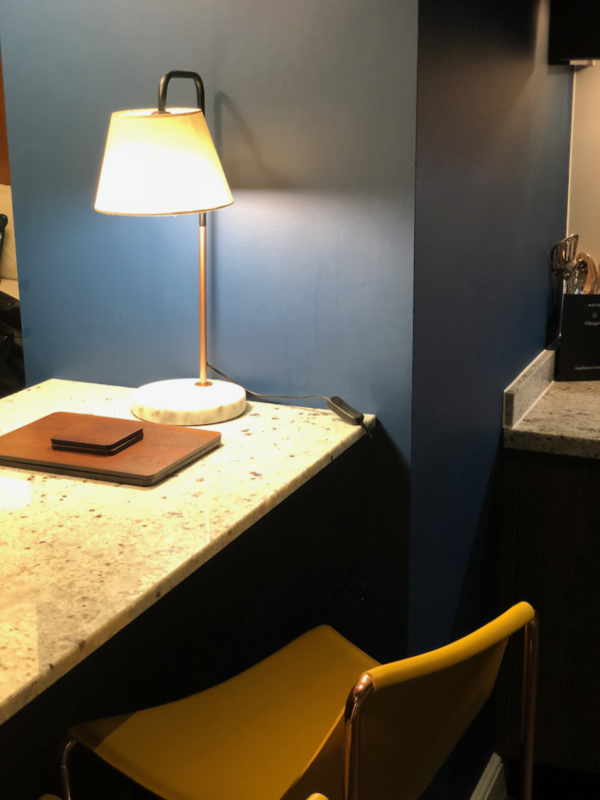 There is a small marble topped dining, breakfast bar, at which two people can comfortably eat. 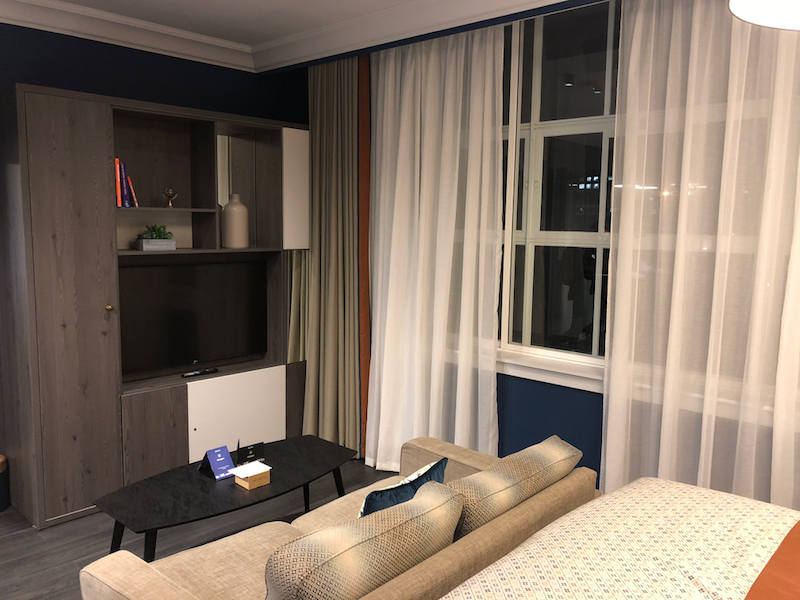 The sitting area including a smart TV, a unit which includes an iron, next to the bed there is a large wardrobe with plenty of space to store your luggage. 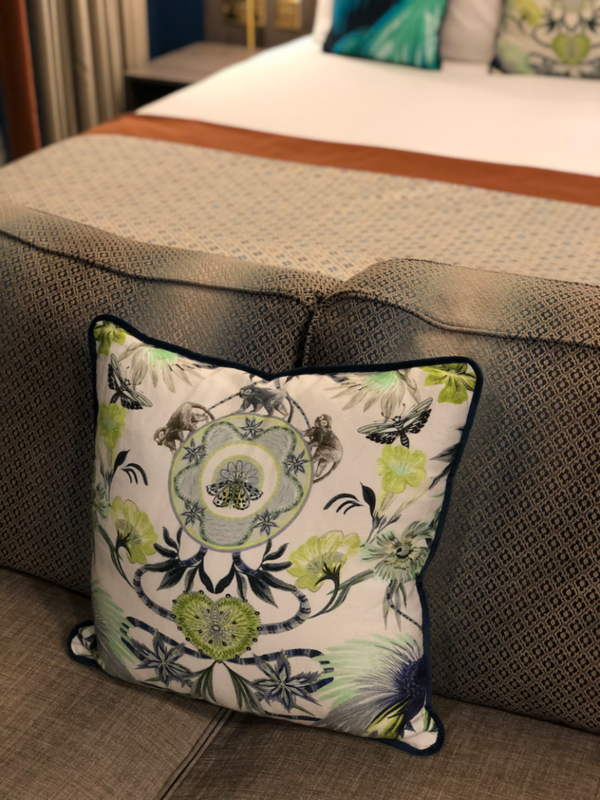 I loved the fabrics and design used on the bed and cushions. 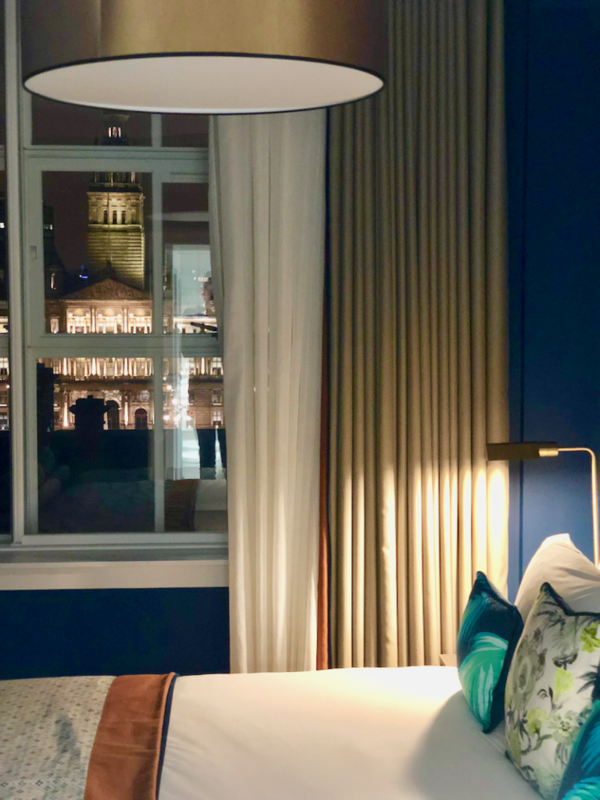 That view of the City Chambers is incredible! 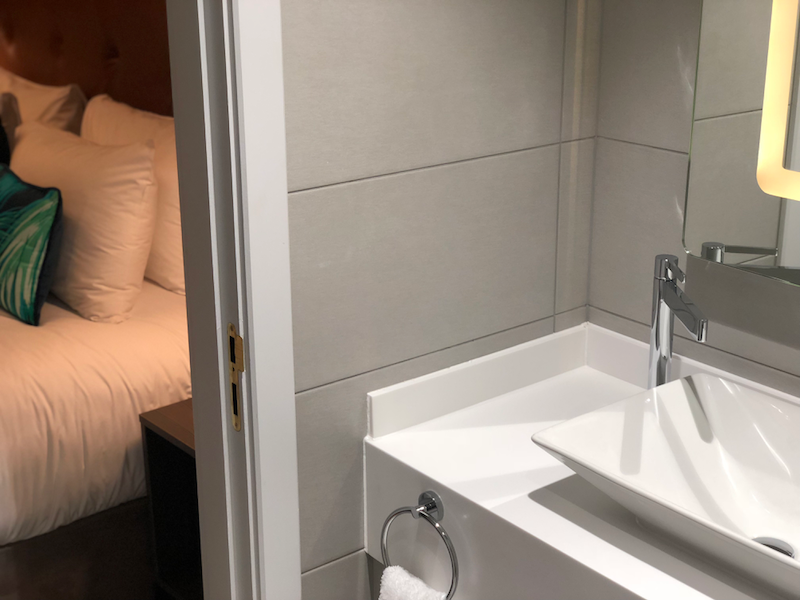 The bathroom, like the rest of the apartment, is finished to a very high spec and includes a large walk in shower space. 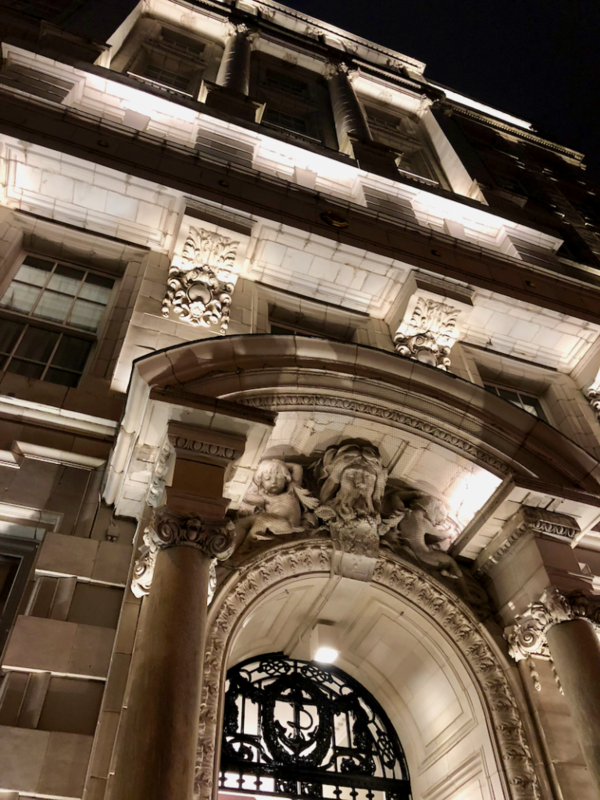 There are nods to the history of the building through-out the building. When I came back later that evening the clever lighting really makes the room extra cosy. 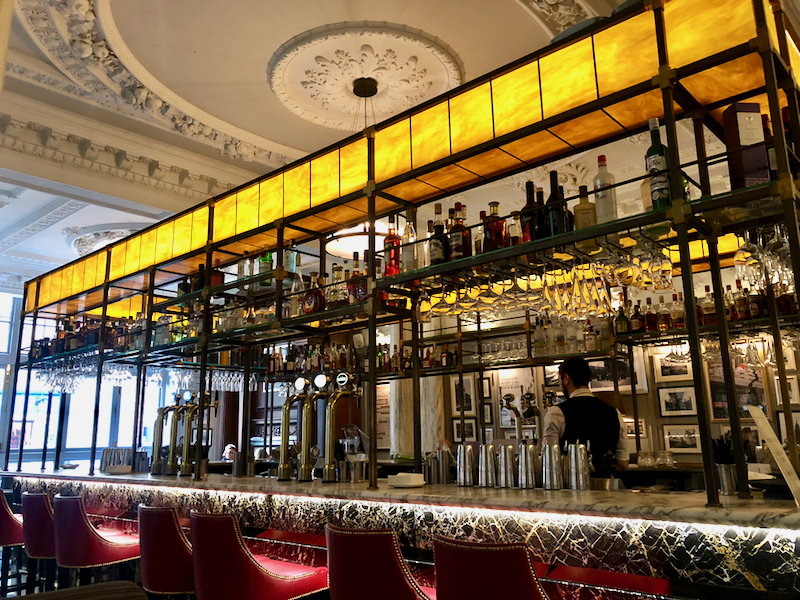 Glasgow has a wealth of amazing food and drink experiences so you are never too far from somewhere great to eat. 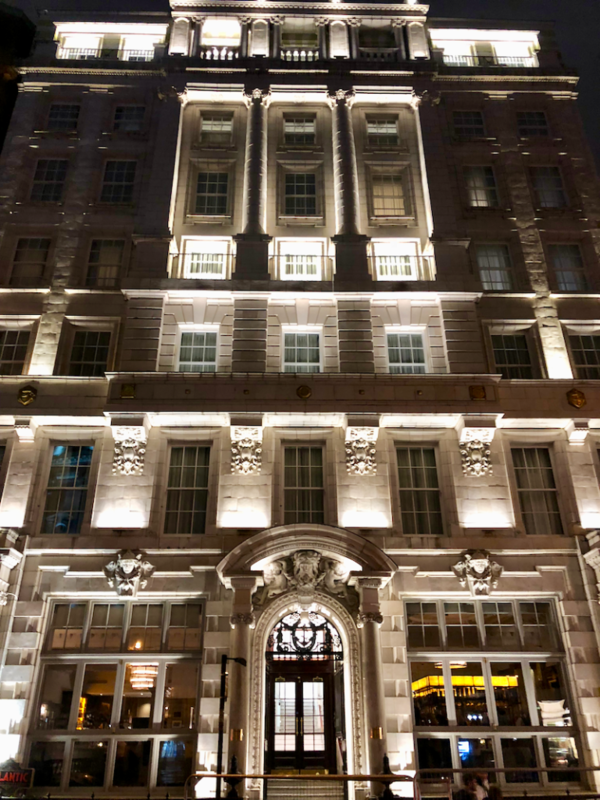 Within the Anchor Line building itself the ground and basement floors are already home to two popular restaurants, The Anchor Line and Atlantic Bar & Brasserie, which are open from breakfast through to dinner. 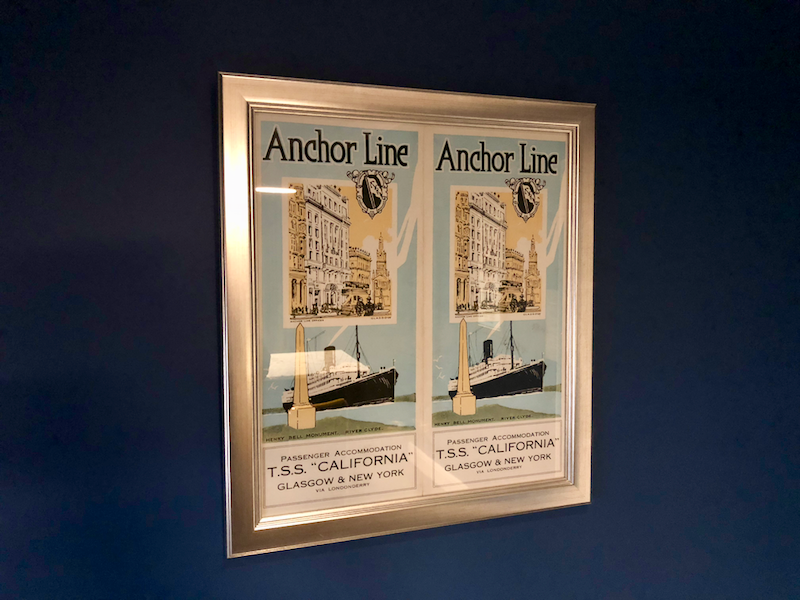 We ate breakfast in the Anchor Line Restaurant and it is a beautiful place to start the day. 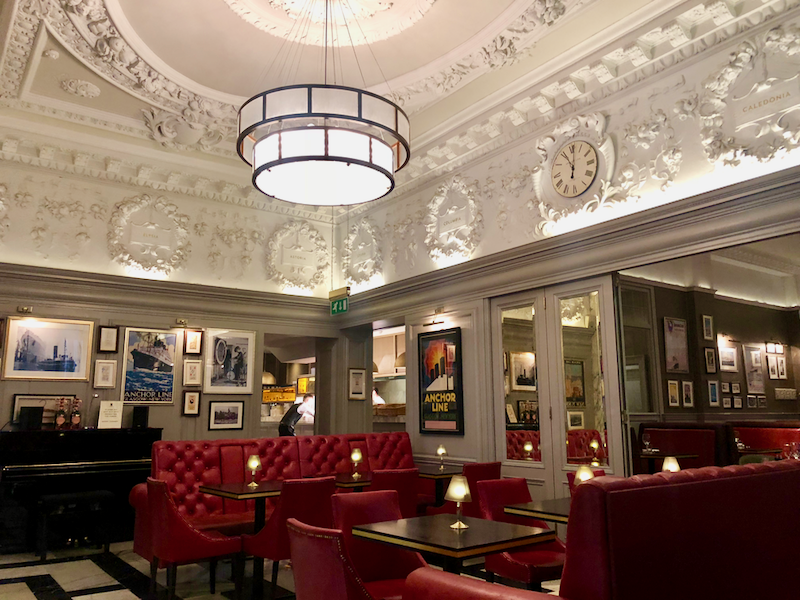 The restaurant has the wow factor with its original ceiling cornicing, many historical shipping artefacts and Anchor Line posters and ‘blingy’ island bar. 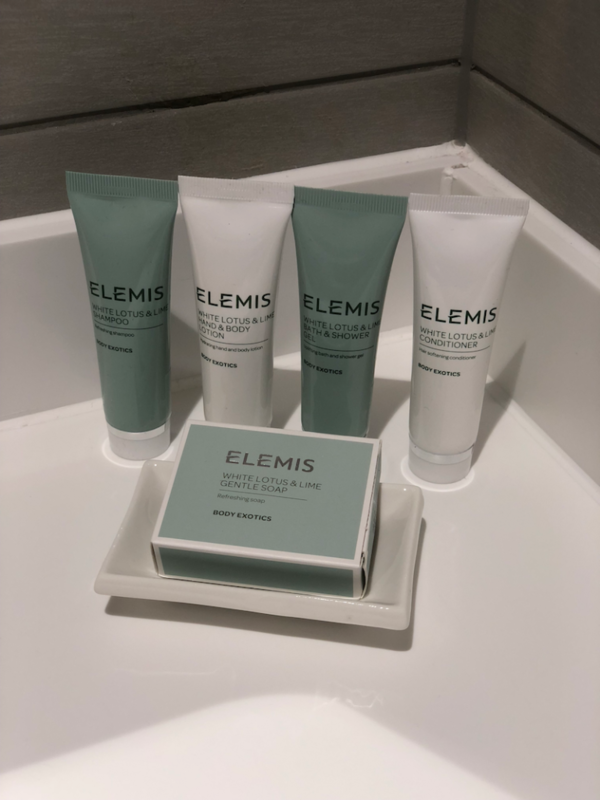 The breakfast menu is concise with a nice option of cooked to order classics, they also offer a range of delicious mocktails if you want something fun to start the day off with. 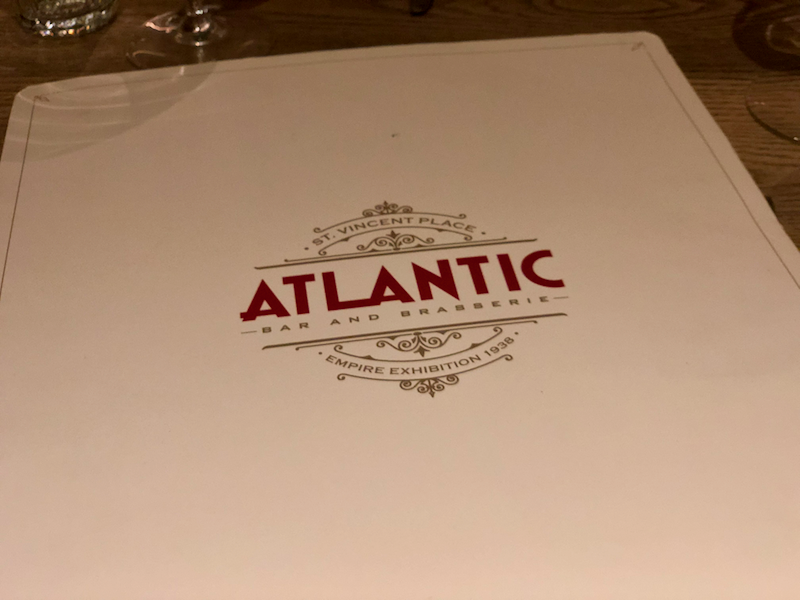 And for dinner the night before we stayed we ate in the Atlantic Restaurant in the basement. The restaurant has a great atmosphere, we were there on a Saturday night and the place was really jumping and lively, which was surprising for a January weekend. 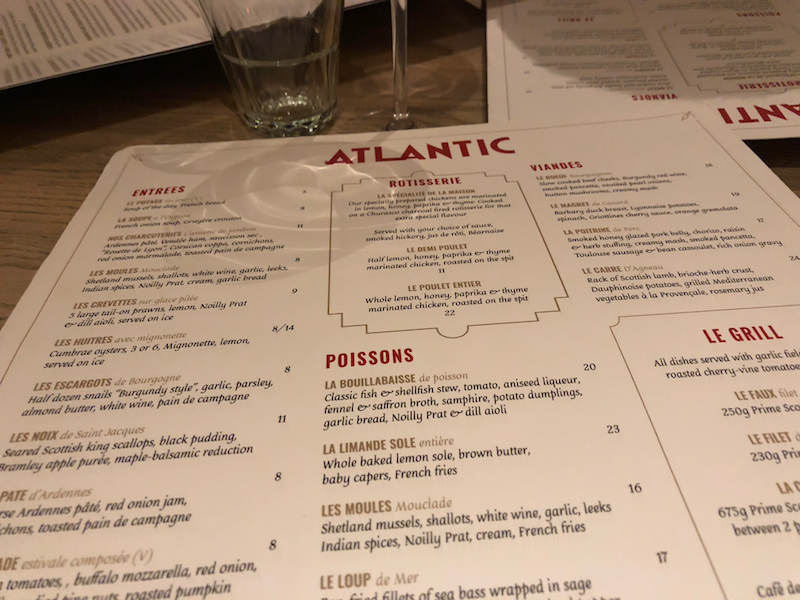 The Atlantic showcases the best of French food, plus it has a full rotisserie and Robata grill in the open kitchen and there is live jazz playing some nights there too. 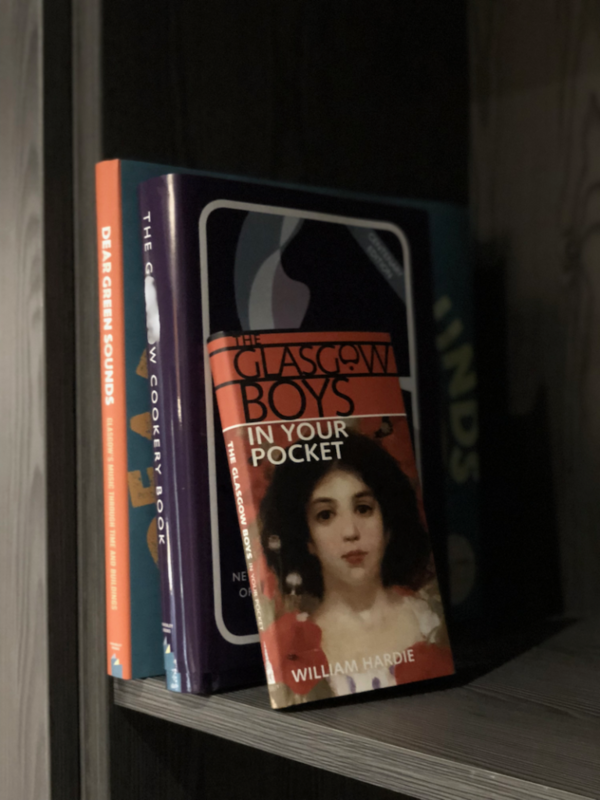 I am always looking for new ways to rediscover my home city and Native’s location right in the heart of the city centre as well as the building’s fascinating historical significance and the really high quality finish in the apartments make it a great Glasgow base. 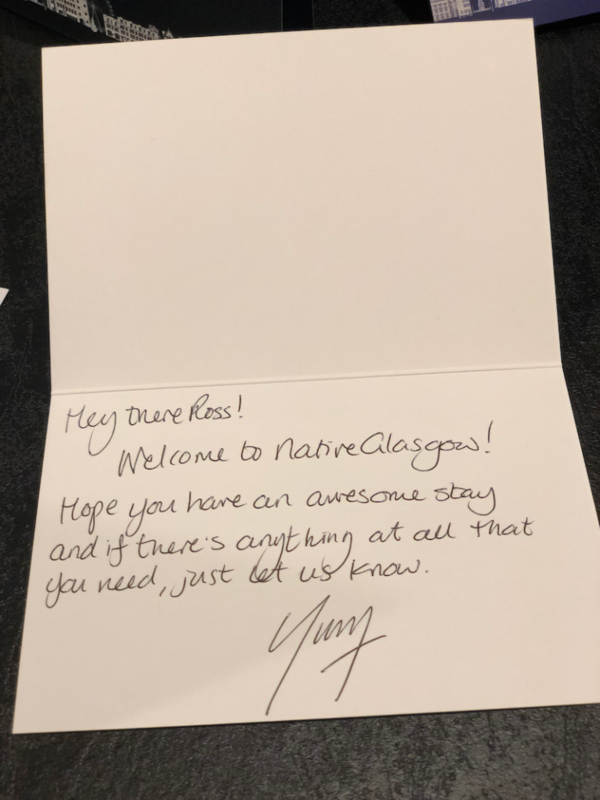 We have no hesitation recommending Native as one of our new favourite places to stay in Glasgow and we look forward to seeing more of these properties opening up across the UK in due course.